What to wear in a Summer Wedding! Beautiful dresses with colors for an amazing style! Summer time means also beautiful weddings! Personally, I believe that Summer is the most romantic period of the year to get married. I had my wedding on July and the colors of the sunset next to the sea, were just amazing! If you are the bride, things are almost easy, since you know what you will wear! But what if you are guest? And what happens if you have to be on more than one weddings? What to wear? Minimal my friends…. a long minimal dress in your favorite color! Perfect for the Summer and all time classic! This is always a problem for me. What to wear? Something chic and elegant but not with bold details, something comfortable to allow me to dance! Always my first choice is a long simple dress in minimal lines with my favorite color! Combine it with beautiful shoes and a small cute purse and you are ready! Hair can always be in their natural look (it is hot Summer, you do not need something extreme!) and of course do not forget small details…meaning jewels! Depending of your mood and the style of the wedding, you can easily change from minimal petite jewels with stones or gold to bold boho jewels or something with ancient Greek style. This actually is a good tip, since you can wear the same dress in another wedding, but in a totally different style since you can combine different type of shoes and jewels! And where to find a beautiful long dress? This is actually easy. 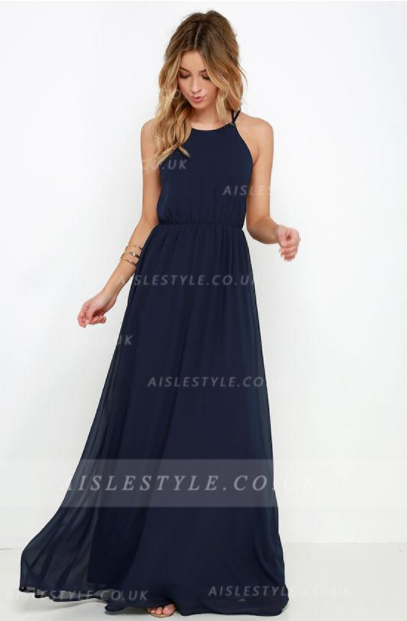 Check online the beautiful collection of prom dresses from Aislestyle. You can find your beloved one, since the collection of Prom dresses 2017 has too many beautiful long minimal dresses! And if you are not that type, just check also the lace dresses or the short dresses! I am sure, you will find your favorite! The most amazing thing, is that you can check also the offers and the Cheap prom dresses …. beautiful dresses in really low prices! And now it is easy to decide what to wear! Really, what is your favorite type of dress for a Summer romantic wedding??? έχω περάσει απο τα σκαλοπάτια της εκκλησίας εδω και πολλά χρόνια αλλά πάντα μου αρέσει να βλέπω νέες νυφούλες μέσα σ'αυτά τα ονειρεμένα φορέματα.Νομίζω οτι το λευκό και το κόκκινο είναι για τα δικά μου τα γούστα,αν και δεν έλεγα όχι και στο μπλέ σκούρο χρώμα! παντα τα όμορφα φορέματα κεντρίζουν το ενδιαφέρον! συμφωνω μαζι σου μαρακι! Αγαπώ τα απλά μακριά φορέματα. Και οι προτάσεις σου, Ζίνα μου, μου αρέσουν πολύ. Αποπνέουν κομψότητα. Εχουμε το ίδιο γουστο φιλεναδα!